How can I say it in just few words? It was both very exciting and exhausting, with a little bit of bitter too. 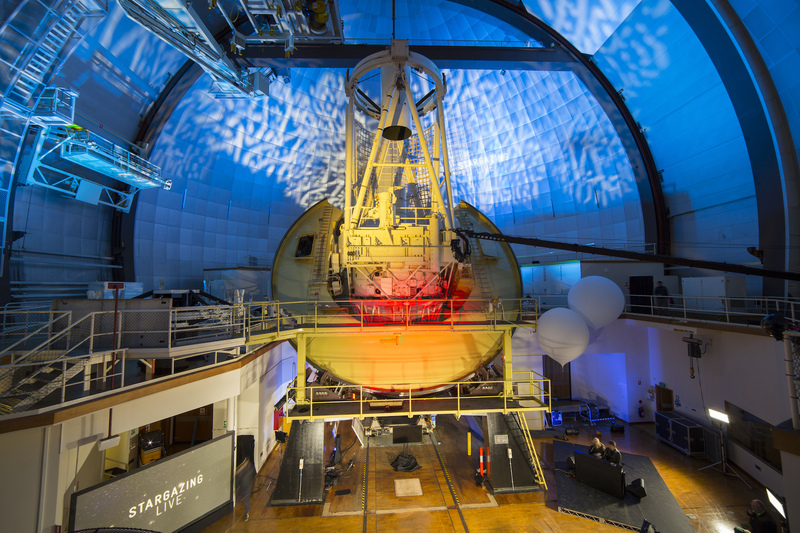 But, overall, last week at Siding Spring Observatory was one of the best experiences I have had in a long time working at the telescope, combining science research, amateur astronomy, outreach and science communication during the Stargazing ABC Live shows. The AAT is ready for #StargazingABC. Hosts Julia Zemiro and Prof Brian Cox are sit in the piano, while Brian still rehearsing. 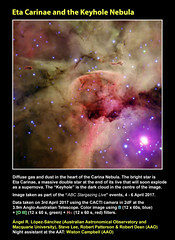 Credit: Ángel R. López-Sánchez. When I’m writing this, at 6:44pm 30th May 2018, I’m still observing at the Anglo-Australian Telescope. I’m doing it remotely from Sydney. It is my last night in a very long run (18 nights in May) for my own research project, which I will detail here eventually. I’m exhausted and need a good break, body and mind can’t survive this crazy rhythm, sleeping an average of 4-5 hours per day, and without any break during the weekends. 1. 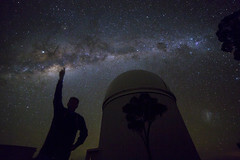 I provided A LOT OF information about Astronomy and the Anglo-Australian Telescope to the ABC and BBC crews. This is something that I’ve been doing during the last months, and might be considered as part of my role of “AAO Science Communicator Officer”. 3. 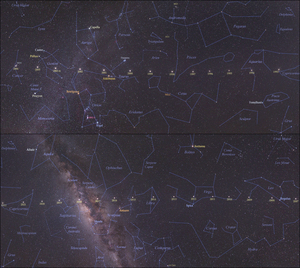 I spent some of my scheduled time at the Anglo-Australian Telescope to prepare a nice, new image of a beautiful astronomy object, that was later discussed during the show. 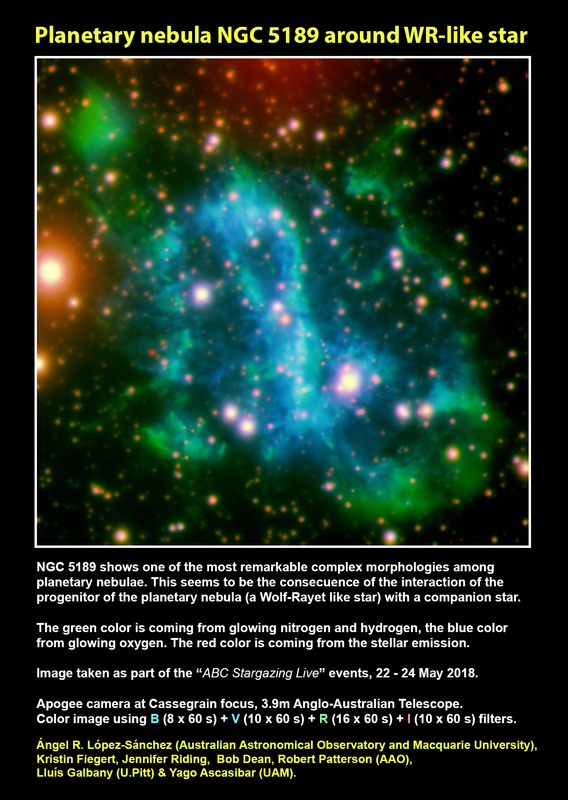 It was the planetary nebula NGC 5189, for which I provided extra information in the previous post. 4. 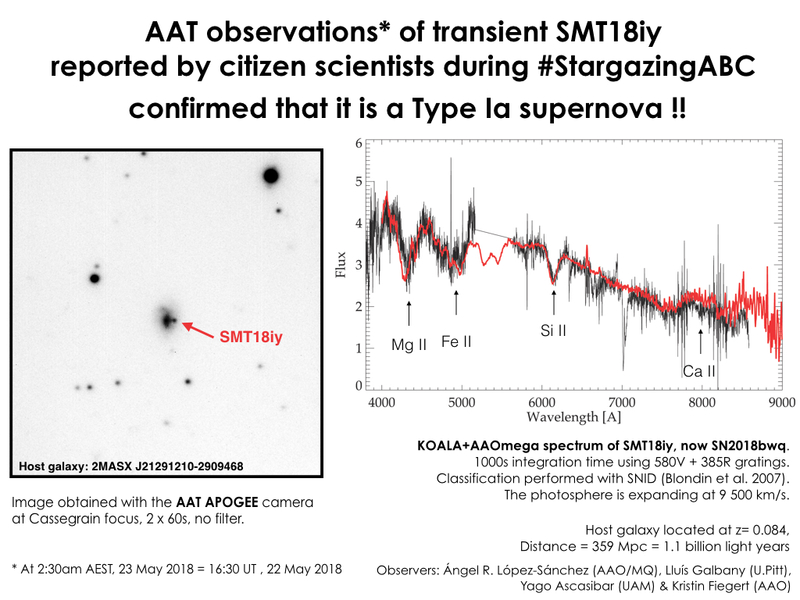 But the most important contribution for the show was actually observing with the AAT two transients reported by the citizen scientists who participated in a program to search for type Ia supernova in other galaxies. 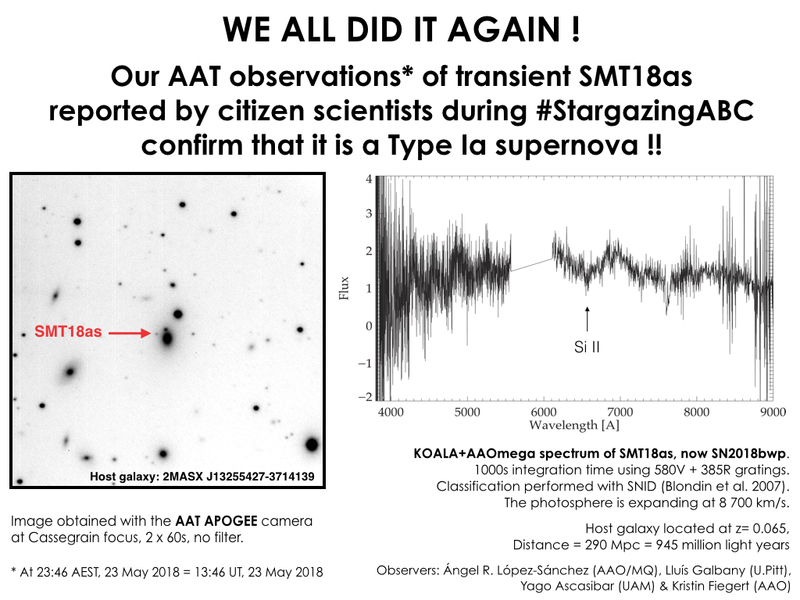 After confirming that the transient was there, we got spectroscopic information using KOALA+AAOmega, reduced the data, analysed the data, confirmed that both transients were type Ia supernova in distant galaxies, and wrote a science report with the discovery! 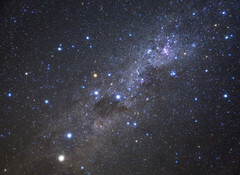 This was something I originally didn’t plan to do, but, as I said, it was my own research program that scheduled at the AAT during the StargazingABC, so I decided to do it and it got a reward, as this also allowed us to submit two science reports with the discoveries! Screenshot of the ATel #11667 by López-Sánchez et al. 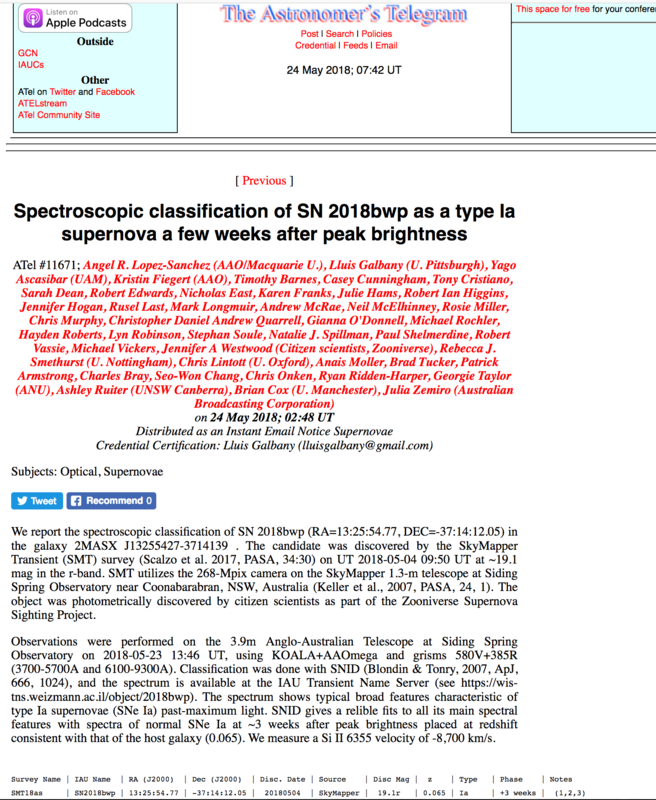 submitted on 23 May 2018. Screenshot of the ATel #11671 by López-Sánchez et al. submitted on 24 May 2018. These two nights were really exciting! 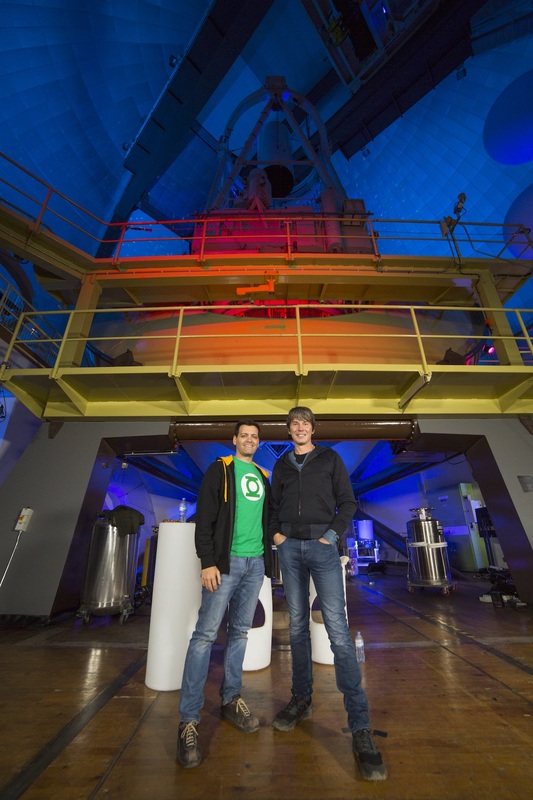 I really want to thank my friends and colleagues Lluís Galbany and Yago Ascasibar, as well as the AAT Night Assistant Kristin Fiegert (AAO), for their wonderful help in all of this. 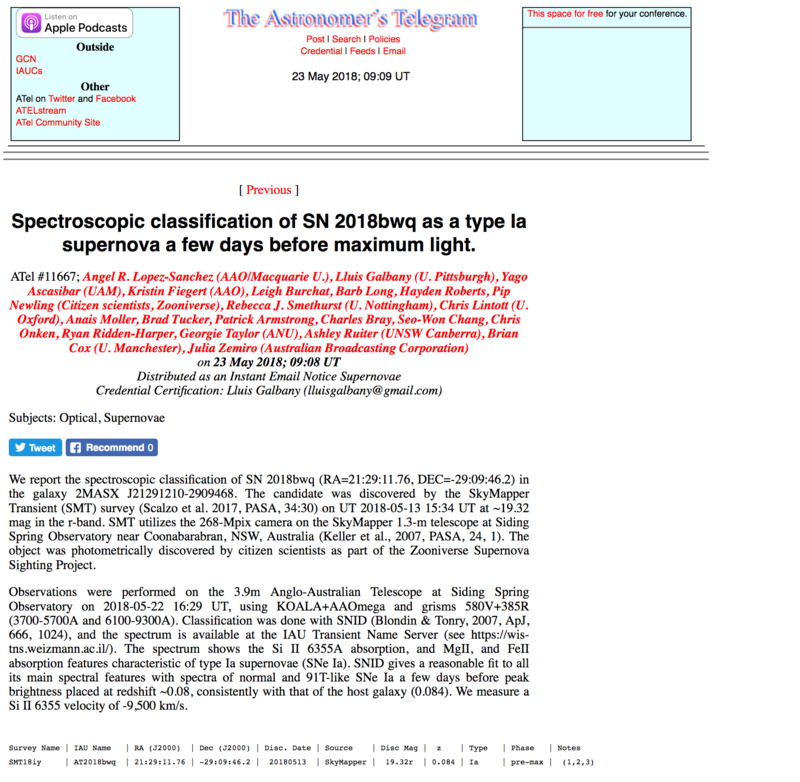 The discovery of the transients and the confirmation that they were type Ia supernova in distant galaxies has appeared in many media news these days, including in ABC Science News, and also here: “Citizen scientists find two supernovae and (slightly) revise the age of the cosmos“. It was also a privilege talking with Prof Brian Cox, who is absolutely great, and even recorded a short video with me for my son. Thank you a lot, Brian! Prof Brian Cox and me are ready for #StargazingABC. Where is the “bitter” I mentioned in the first paragraph? Well it is when the credit is not given. And not credit was given to me during the shows. I was still hoping at least having my name in the screen, in an ideal world even participating in person during the shows. But with my name (Ángel) and my strong English accent… well… perhaps in another life… I know what I did and I know how important my contribution was, and as I said I really enjoyed a lot all the time. I hope I’ll be back if #StargazingABC returns in 2019! 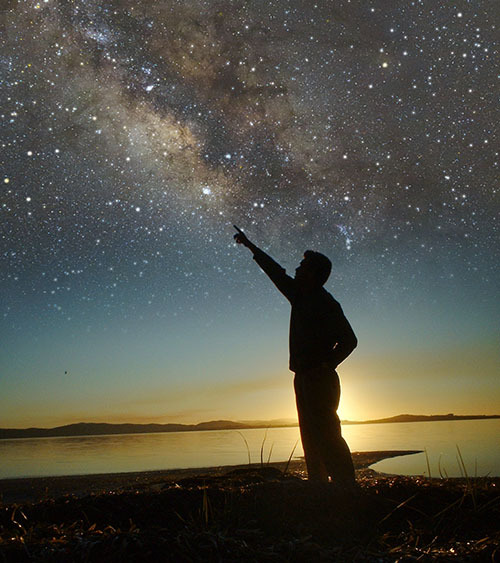 PS: If you are in Australia, you can watch anytime the 3 episodes of 2018 #StargazingABC following this link to the ABC webpages.